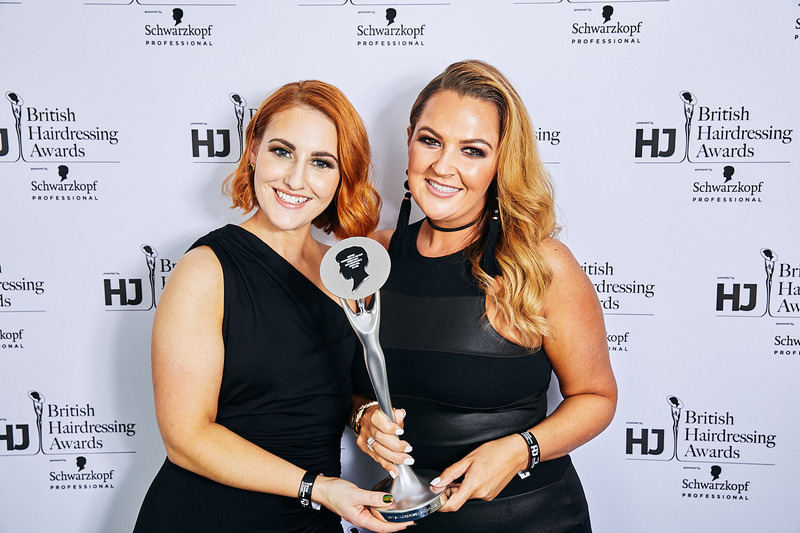 Jessica Neil and Mary Geoghegan’s reputation as one best hairdressing duos in the country was confirmed last night (26th November 2018) after they were named as Eastern Hairdresser of the Year at HJ’s British Hairdressing Awards 2018, sponsored by Schwarzkopf Professional. Jessica and Mary from KH Hair Group's West Bridgford and Nottingham salons, claimed the title in front of 1,750 hairdressing greats alongside host and TV celebrity, Rylan Clark-Neale. The event, which saw guests celebrating into the early hours, and entertained by Scouting for Girls, was held at the Grosvenor House, a J W Marriott Hotel in London. “For the past 34 years the British Hairdressing Awards have celebrated the very best talent, creativity and insight within our industry – and this year is no exception. I’d like to extend my warmest congratulations to Jessica and Mary for demonstrating fantastic technical dexterity as evidenced in the collection they submitted, and also for being such great ambassadors for British hairdressing. "We are ecstatic to win the Eastern Region at the British Hairdressing Awards. The team has worked so hard to receive this prestigious accolade and have never given up on their dream. It just goes to show that hard work, passion and determination will pay off eventually. My co-director, Tim, myself and all the teams at KH Hair are very proud of Jessica, Mary and all the KH Creative Team and would like to say a huge thank you for all their hard work."